Historically low productivity gains and record high inequality are major challenges for policy makers around the world. Both concerns have been exacerbated by the global financial crisis but took roots well before and reflect fundamental challenges with the way our economies function. 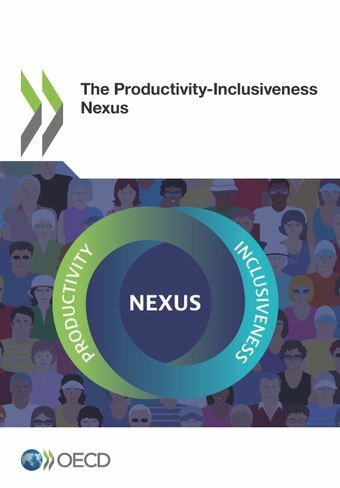 This report proposes a new comprehensive approach to promote better productivity performance and reduce inequalities. It not only gathers the most recent empirical evidence on the main factors behind slowing productivity gains and rising or persisting inequalities but also suggests possible common foundations and linkages between these two trends. It stresses the risk of a vicious cycle setting in, where individuals with fewer skills and poorer access to opportunities are confined to unproductive and often precarious jobs. This reduces aggregate productivity and widens inequality. The report focuses on how to expand the productive assets of an economy by investing in the skills of its people and providing an environment where all firms have a fair chance to succeed, including in lagging regions. It draws preliminary conclusions on the type of policy packages that are needed and on their implications for policy making. It also sets an agenda for future research to deepen empirical evidence and make concrete country-specific policy recommendations.